I’m not convinced this will be anything less than a complete boondoggle, of course. I mean, how can… where will they… how do they expect… oh, forget it. As Oscar-winner Christoph Waltz says in Inglourious Basterds, “What tremendous feats human beings are capable of once they abandon dignity.” Or maybe it’s just a way for some girls to put away a few bucks. 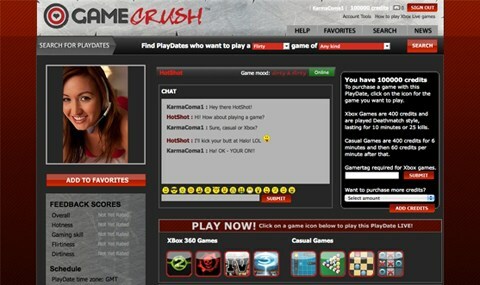 GameCrush should be launching any second now, so go try it out. Only for the 360, at the moment – pity!